We were approached by the owners to work with them to update and reconfigure this home, perched on top of the hill with district and harbour views. Both the exterior and interior needed substantial redesign, so we referred them to Bruce Stafford of BSA Architecture, and the project became collaborative. Our scope included the interior design as well as the furniture and furnishings with a brief to create a cheerful family home, with light finishes and furnishings. Our client’s preferred palette was white, light blue, turquoise and lime, which took us a little way out of our comfort zone, but in the end we enjoyed the challenge and the result delighted the client. The living level had a large footprint that needed reconfiguring to create formal and informal living and dining areas, all of which can open up to the outdoor living spaces. In dividing the formal/informal spaces, we designed joinery that creates space in the living room for a favourite painting, fireplace, shelves and a connecting seat that can be closed off if required with sliding doors that are concealed within the joinery. The reverse side of the joinery that visually connects to the kitchen has additional storage as well as display shelves. 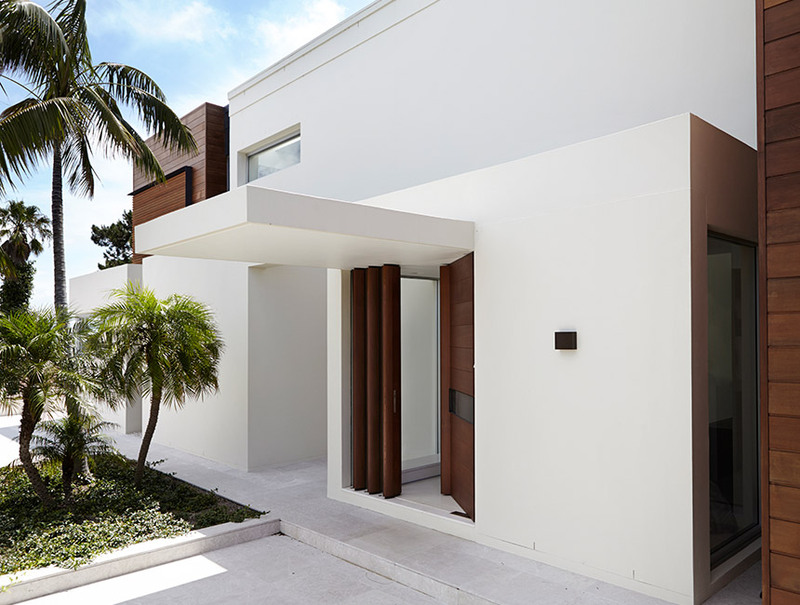 The light oak chevron parquetry defines the living areas and is flanked on each side with limestone, creating walkways and connecting the exterior, the contrast of materials enhances the spaces.